CPRE has long advocated the devolution of power on planning decisions to the most appropriately local level. Of course, we recognise that some decisions need to be made strategically – such as the broad location of areas of growth to avoid Green Belt and protected landscapes – but communities at the level of town and village are best placed to make the most sustainable decisions about the type of development they need and where it should go. So empowered, communities time and again prove they are able to take responsibility for making difficult decisions, identifying the need for development and actively promoting it, when the same community may have rejected similar proposals imposed on them from a higher authority or by speculative planning applications. Communities have always, in theory, been able to influence planning policies in their areas – through engaging with local plans, and by providing evidence to inform planning decisions, for example in Village Appraisals and Parish Plans, although such measures were only ever small pieces in a big jigsaw of evidence supporting complex plans prepared by district councils. The Localism Act 2011 changed all of that, by giving communities statutory rights to make policies and decisions about development in their areas. The rights were vested in elected town and parish councils, and, where these did not exist, enabled the creation of new bodies, called ‘neighbourhood forums’ (from now on I shall call all of these ‘neighbourhood planning bodies’). However, these are limited rights, specifically aimed at giving communities control over how development takes place in their area, and only a right over whether development takes place if the community wants development to happen that would otherwise be prevented by the policies of a wider local plan, or national planning policy. In effect, the reason that the Coalition Government was so keen on neighbourhood planning was that communities were saying that district councils – and National Park Authorities – had planning policies that prevented development happening that those communities actually wanted. This particularly applied to parish councils calling for housing developments in villages, and other communities that wanted local infrastructure, including decentralised energy generation plants. District councils preventing small-scale, community-supported developments in villages is an issue recognised by CPRE, and we were (and still are) a part of the Rural Coalition when in 2010, under the chairmanship of Matthew Taylor MP (now Lord Taylor of Goss Moor), they published “The Rural Challenge”, which highlighted this issue and called for more planning powers to be devolved to communities. The tools that government wanted communities to use to get such developments going were “Neighbourhood Development Orders” and “Community Right to Build Orders”, which give the neighbourhood planning bodies the ability to in effect grant planning permission for a specific proposal on a particular site, or for specified types of development subject to criteria. In the event, very few communities have bothered with these (they are complicated and fraught with problems). Instead, over two thousand communities have started work on “neighbourhood development plans” (NDPs) – although only around 250 have so far successfully completed one. These come in all shapes and sizes, and deal with all kinds of issues – see, for example, our briefing on those that had been prepared up to September 2014. NDPs are like mini-local plans. They set out a community’s vision for its future, and include policies and proposals for how the community wants development to take place. As I noted above, NDPs can’t stop development that is already determined for an area, but they can decide where that development should go. A notable example is Thame in South Oxfordshire. Here, the district council had determined how much development the town needed to accommodate, but the question of which sites would be developed was proving controversial. In the end, the district council effectively delegated that responsibility to the Town Council through its neighbourhood plan, and the community duly accepted the challenge of identifying its own preferred sites, rather than having a large urban extension foisted upon them. NDPs can also set higher design standards for new development than is often specified in local plans or national planning policy, especially where this relates to locally distinctive details, such as building materials and common local architectural features. Importantly, the government’s planning policy (the notorious NPPF) says, at para 185, that the detailed policies of neighbourhood plans “take precedence over existing non-strategic policies in the Local Plan”. Another thing that NDPs can do is inform the preparation of a local plan (or its review if there is one in place). Evidence supporting an NDP, and the policies within it, can be critical in this regard. CPRE will shortly be publishing some guidance on using “local landscape characterisation” to inform neighbourhood plans. 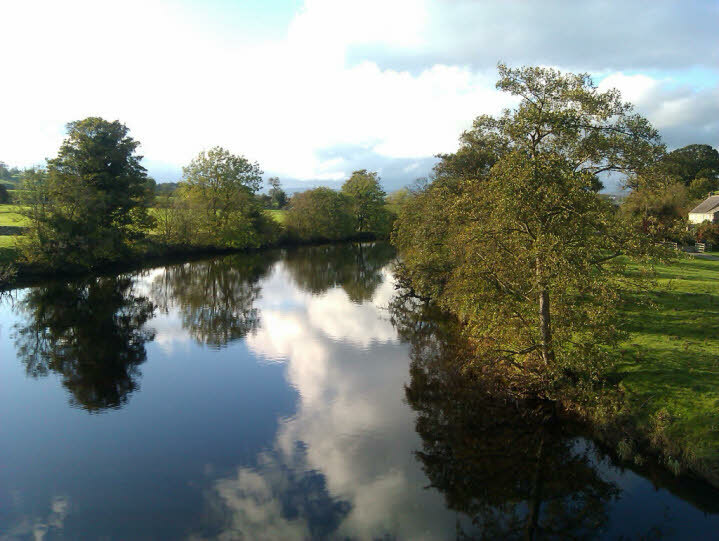 Having a thorough understanding of what is special about your local environment is an essential part of protecting it. So, while a neighbourhood plan itself might not be able to stop development proposals already planned at a more strategic level, the evidence gathered to support a neighbourhood plan on the quality and characteristics of the local landscape could help to guide future strategic policy. NDPs can also be used to identify areas to be designated as “local green space” – a new designation introduced in the NPPF (paras 76-78) which can have the same protective power as Green Belt (but cannot be “an extensive tract of land”, whatever that means). Our forthcoming guidance will have further information on this too. 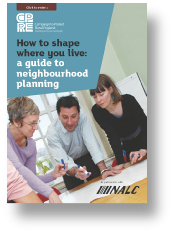 All of the above means that neighbourhood planning is, potentially, an extremely powerful tool enabling communities to shape development in their areas, including getting development the community needs but which isn’t supported by wider policy, and with some scope to influence, if not entirely put a stop to, development imposed from above. BUT… (there’s always a “but”) – neighbourhood planning depends on the energy and stamina of volunteers. There are now several high-profile cases of neighbourhood plans being overruled or ignored in planning decisions, whether by the district council or the Planning Inspectorate. It is fair to say that there are many more cases of neighbourhood plans being upheld, and planning decisions being better as a result of them. It is also true to say that there are usually understandable (if frustrating) technical reasons why neighbourhood plans have been overruled, usually relating to the meeting of unrealistic housing targets (and that’s another story entirely). Nonetheless, many communities have been put off starting (or completing) work on a neighbourhood plan because they don’t think that the effort they put into it – in terms of their own time and resources – will necessarily be rewarded with the best planning decisions. This is the reason why CPRE has been working tirelessly to give neighbourhood plans more weight in the decision-making process. Through last year’s Housing and Planning Bill (now Act), we campaigned with Civic Voice and the National Association of Local Councils, for a “neighbourhood right of appeal”, giving neighbourhood planning bodies the ability to appeal against a council granting planning permission for a proposal than conflicted with an NDP. When the government rejected that proposal – after debates in both Houses – we promoted a compromise option – a “right to be heard” – that gave neighbourhood planning bodies a specific role in influencing the planning decision. This caught the government’s attention and they promised to return to the issue in either the Neighbourhood Planning Bill or the Housing White Paper. They have so far failed to come up with anything that really does the job, and we continue to lobby for effective change to – in the words of the government’s own manifesto commitment – “encourage communities engaged in neighbourhood planning to complete the process and to assist others to draw up their own plans”. Also, go to www.cpre.org.uk and put “neighbourhood” into the search box for further comment, opinion and information.  Develop a shared vision for your neighbourhood.  Choose where new homes, shops, offices and other development should be built.  Identify and protect important local green spaces.  Influence what new buildings should look like.